B2B marketing platforms are all the rage these days. These platforms often bill themselves as one-stop shops when it comes to marketing. Lead generation? Lead scoring? Lead nurturing? The average B2B marketing platform can do all that, and more. In this article, we discuss the numerous benefits of B2B marketing platforms, as well as how to choose the best B2B marketing platform for your company. Read on to find out more! What Exactly Is A B2B Marketing Platform? Before we talk about the merits of B2B marketing platforms, let’s take a second to define these platforms. In a nutshell, a B2B marketing platform is one which allows businesses to automate marketing processes and convert leads to paying customers. These platforms allow provide marketers to easily build, track, and manage their campaigns, as well as monitor how their leads are moving through their sales funnel. Let’s move on to discussing the benefits of B2B marketing platforms. We don’t know about you, but we’ve got a never-ending To Do list that we just can’t seem to get done. B2B marketing tools make it easy for both marketers and sales reps to increase their productivity, and do more with less. And spend your time on higher-level, revenue-generating activities. For marketers, that might be fine-tuning and A/B testing campaigns. For sales reps, that might be attending sales meetings. Now, how does this impact your bottom line? All in all, automating your marketing efforts results in a 14.5% increase in sales productivity, and a 12.2% reduction in marketing costs at the same time. You get a lead from your website, and you call them to share more about your company. Nobody picks up, but you’re undeterred. You know that it takes 8 to 12 calls, on average, to reach a lead, so you try again the next day. Finally, you get in touch with your lead. They show interest in your company, and you have an hour-long conversation explaining the features of your product. They request for you to drop by their office. It’s 2 hours away, but you’re glad to travel down, because you think you’ve got this in the bag. After meeting their entire team and speaking to their CTO and CMO, you get the go-ahead. You’ve spent all this time talking to your lead, and they were never going to make a purchase in the first place. In order to prevent this from happening, you’ll want to make sure that your leads are a good fit before investing your time on them. Some folks call this lead scoring, but others may refer to it as lead grading, lead qualifying or lead prospecting. So, how do you do qualify your leads? One way is to ask your lead a series of qualifying questions when you first speak to them. Basically, you want to glean information that will tell you whether your lead is capable of making a purchase, and ready to do so. If they lead isn’t ready, that’s fine - you can nurture them slowly. But if they’re not capable of making a purchase (this normally boils down to budgeting issues), then it’s pretty much a no-go. Don’t waste your time on these guys. Wow, I have to ask every single lead a long list of qualifying questions? Isn’t there an easier way of going about this? Of course there is. You can use a B2B marketing platform to automate the process! A B2B marketing platform will pool together all the data they have on a lead, and automatically score and grade them based on this data. OR if they fit within the profile of your typical customer, then their score goes up. Then there’s also negative lead scoring, which is basically the opposite of this. Maybe someone visits your website, but spends most of their time on the “Careers” page. This person’s probably looking for a job, and they’re not an actual lead - so it makes sense to filter them out. Again, this is all done automatically with the help of a B2B marketing platform. Every time a lead comes in, they’re assigned a score, and directed to the sales team. 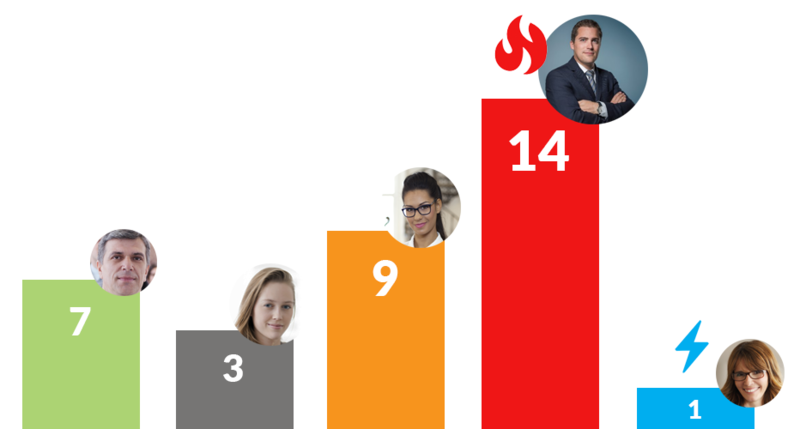 Now that the sales team can identify which leads are the hottest ones, they’ll attend to these folks first, and prioritize them over other leads who are less likely to convert. Sidenote: to learn more about the science behind lead scoring, read this article. Okay, we’ve just talked about how automated lead scoring can help your sales reps reach out to leads in a smarter, more effective manner. But what about those leads whom you don’t want to call or email right off the bat? While you’re not reaching out to these leads immediately, you do still want to remain at the forefront of their consciousness. Basically, you’re nurturing these leads, and feeding them with more information in a non-salesy, non-aggressive manner. They’re not ready to make a purchase as of yet, but that’s fine. Assuming you do this right, they’ll return to you (instead of going to your competitor) to make a purchase further down the road. Again, you can also do lead nurturing manually, but this will be crazy tedious. I mean, can you imagine juggling 50 leads, and keeping track of what ebooks / whitepapers / other marketing materials you’ve sent each of them using an Excel Sheet? It’s a recipe for disaster, if you ask us. Here’s where your B2B marketing platform comes in. Next, you’ll create drip campaigns to trigger automated emails to each of these segments. For example, say you have a segment compromising of CEOs of companies making more than $5,000,000 in annual revenue. Now, you know that these guys are the key decision-makers of their companies, and that they have a large budget to play around with. Bearing this in mind, you can highlight one of your premium plans or products in your sales emails. You know that they’ll be able to afford it. In order to have your emails resonate with them, you should also link whatever benefits you’re talking about to profitability. Most CEO owners are focused on the big picture (revenue!) instead of macro goals, so this is a great way to sell your product to them. Okay, so that’s the drip campaign for successful CEOs sorted. But what if you want to set up a drip campaign for entrepreneurs who are running start-ups? Money is likely to be a concern for these guys, so you should vary the structure and content of your campaign to address this concern. Yes, it’s quite a bit of work setting up all these campaigns for your different segments. But once these campaigns are up and running, they’ll trigger emails to all your newly-acquired leads without any extra effort on your part. And while you might forget to follow up with your leads if you’re nurturing them manually, emails from drip campaigns go out like clockwork. You can rest easy, knowing that not a single lead will fall through the cracks. Many businesses find it hard to accurately measure the success of their marketing campaigns. On a higher level, this makes it hard for your management team to identify the company’s 20⁄80 (the 20% of activities that bring about 80% of results) and fine-tune strategies accordingly. On an operational level, this also makes it difficult for your marketers and sales reps to prioritize their efforts. Thankfully, B2B tools provide closed-loop reporting that help you identify the success and ROI of your campaigns. CTRs, CACs, CPCs, conversion rates, win rates, opportunity close rates, lead response time - it’s easy to track these metrics using B2B tools. With all these numbers at your fingertips, you get greater insight into which parts of your funnel you should optimize. Do you need more leads? Do you need to reach your leads more effectively? Or do you need to work on your closing rate? You’ll be able to pinpoint your bottleneck with zero sweat. Now that you’re up to speed on the benefits of marketing platforms, let’s take a look at how to choose the best platform for your company. If you stumble upon what looks like a fantastic, all-inclusive B2B marketing platform, and the basic plan that you’re thinking of getting is suspiciously affordable, take a look at the fine print. Does this plan limit you to only adding a certain number of leads to your platform per month? Does the plan restrict you to only have 5 user accounts? Is there an additional (and exorbitant) set up fee that you’ll have to pay? Now, regardless of which B2B marketing platform you get, your team will have to deal with some sort of learning curve. That said, if you want to make this process as painless as possible, look for a platform that is user-friendly, instead of being overly complex or technical. First up, look for customizable dashboards and admin panels which will allow your team to have easy access to their most frequently used features. Also, opt for platforms and tools which are well-designed and intuitive to use. Last but not least, make sure the vendor provides training sessions to get your team up to speed. Finally, your marketing platform should also integrate well with the other marketing software and tools you’re using. Having to log onto different platforms in order to keep an eye on your daily leads or sales figures simply isn’t efficient. On top of that, extracting data from multiple sources may also result in marketers double counting leads or making mistakes when calculating campaign ROI. To avoid all that hassle, look for a marketing platform that integrates with the other tools that you have in your arsenal. So you’ve decided to take the leap, and start using a B2B marketing platform. Where do you start, and how do you determine the best fit for your company? In this section, we take you through the process. The first step is to identify your marketing goals and the challenges you’re facing. If you’ve been working closely with your sales team, and neglecting the marketing side of things, then maybe you need to work on your entire funnel (one thing at a time, though). Under these circumstances, opt for an all-in-one platform that helps you prospect leads, nurture leads, and do all that good stuff. But if you know that you need to step up your efforts in one specific area? Then you should choose a platform that caters specifically to that. Based on the goals and challenges you’ve just identified, decide what features and functionality you need your platform to come with. Now, when it comes to your features, more is not more. If you’re paying for a ton of advanced features that your team doesn’t use regularly, you’re just flushing money down the drain. Now that you’ve got your goals and features sorted out, the next step is to reach out to vendors. Some companies like to issue a Request For Proposal (RFP) at this stage. This sounds like a fancy term, but it’s basically just a document outlining the scope of your project that you send to your vendors. Using this RFP, your vendors will tailor proposals for you, and you can compare each of these proposals to determine the best fit. If you’d like to create an RFP, HubSpot’s RFP template for marketing automation software will help you get started. Find it too much of a hassle? You can dispense with the actual document, but make sure you communicate your needs and project goals to your vendors. After you understand what the various vendors you’ve spoken to are offering, it’s time to narrow down the list. First up, eliminate all the vendors who don’t meet your feature requirements. Next, check your vendor’s references. Don’t just look at their success stories and testimonials - take the time to actually call their clients and ask them what their experience with the vendor has been like. Last but not least, schedule a demo with your top 3 choices. Get your entire team to be present during this demo, so that they can give you feedback on how user-friendly the various platforms are. You should now have a top candidate in mind. The last step of the process is to negotiate a contract with your vendor. One question that we hear all the time is: is it possible to push down the price, or is there zero wiggle room? Well, it is possible to ask for a cheaper price, but you’ll probably get shot down unless you have some sort of bargaining power. If you have a huge team, and you’re paying for over a hundred user accounts, then you might be able to get some sort of discount. If you’re willing to sign up for a longer, multi-year contract, the same goes. B2B marketing platforms don’t come cheap. To ensure you’re getting bang for the buck, we’ve put together a list of tips to help you achieve the most with your platform. You already know that B2B marketing platforms help with lead nurturing, and we’ve talked about how much time you can save by creating drip campaigns. Yes, marketing platforms can tell you which leads you should be communicating with. They can identify the optimal time to reach out to those leads. They can also deliver the message that you need to send. Unfortunately, these things don’t write themselves. Not sure where to get started? 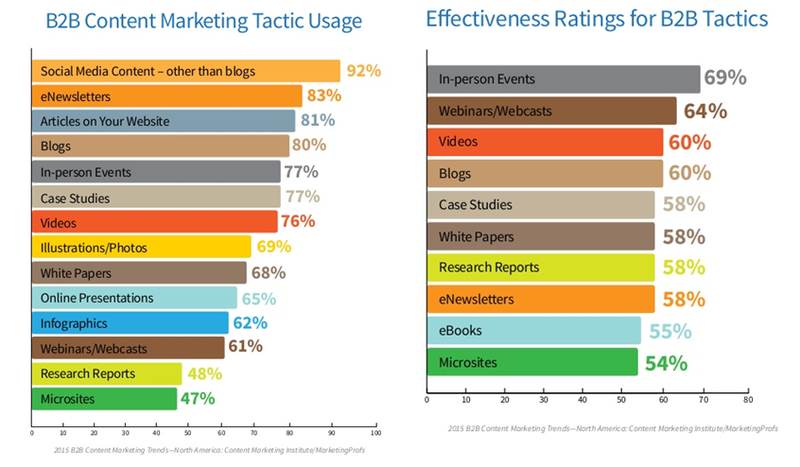 B2B marketers rank webinars, videos, and blog articles as the most effective content types. Let’s run through these quickly. Webinars take a bit more time to create (especially if you’re not familiar with recording videos). That said, you don’t have to run live webinars every time you want to reach out to your leads. You can simply record your webinar, and send the same link to new leads who enter your sales funnel. To get started, check out these free webinar services. Next on the list… videos. Now, there are tons of things you can do with video marketing, but let’s talk specifically about video email marketing. They allow you to get your message through to your audience without overwhelming them with long, rambly paragraphs. They also allow you to build rapport with your audience more easily. According to statistics, companies who use videos in their email marketing enjoy 96% higher Click Through Rates (CTR) on average. Want to work on your video marketing strategy? Check out Neil Patel’s guide. Last but not least, there’s your good ole blog articles. Now, you’ve probably already heard that publishing blog articles can help you establish thought leadership and be seen as an expert as a field. Basically, you’ll want to create a series of blog articles that cater to leads in the various stages of the Buyer’s Journey. You can then send these articles to your leads via your drip campaigns. Say you own an SEO agency, for example. With these articles, you’re trying to educate them about their problem. Don’t mention your product or service just yet. With these articles, you’re helping your leads choose a solution. Lead nurturing aside, publishing blog articles can also help you rank higher in search engines, and generate more leads. With B2B marketing platforms, you have all the metrics you could possibly need at your fingertips. CTRs. Open rates. Duration spent on your website. You name it, you have it. Obviously, you’ll want to start A/B testing everything, so that you can fine-tune your efforts. But before you jump right in, make sure you understand how to run an A/B test properly. For instance, many inexperienced marketers will A/B test the copy on their landing page for ONE single day, and then change said copy based on the results. Unless you have thousands of visitors landing on your site everyday, simply running your test for one day isn’t sufficient. So how long should you run those tests for, then? As a general rule of thumb, try to hit at least 400 conversions per variant you’re testing. Let’s assume you have 2 variants, and your conversion rate is 5%. Working backwards, you need at least 16,000 views on your website in total to be able to conclude that one variant is better than the other. To check out the other A/B testing mistakes that marketers commonly make, read this article. …and you’re now officially an expert on these platforms. Give yourself a pat on the back! If you still want to do more research and try a b2b marketing platform, check Albacross. This tool tracks the visitors that land on your site, and captures leads from them telling you who they are and what actions they take on your site. 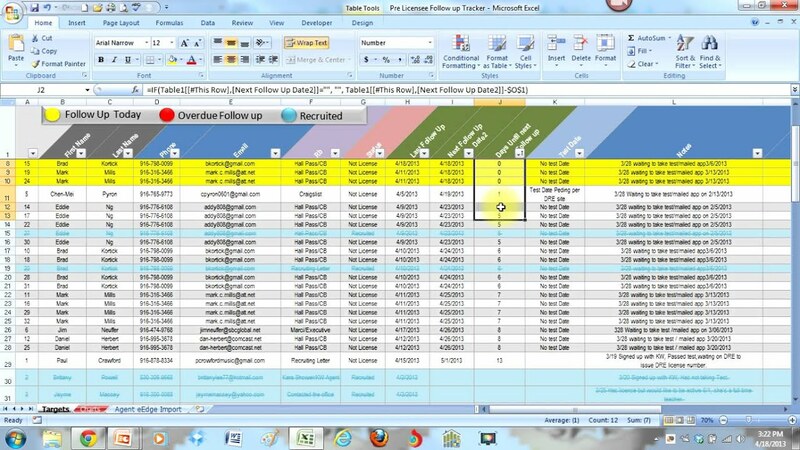 Additionally, Albacross tells you the contact information of these leads so your sales reps can reach out to these companies and convert them into paying users. Setting up an Albacross account takes only 30 seconds, and you can benefit from a complimentary 14 day trial. At the same time, check out Albacross’s Account Based Marketing (ABM) platform. ABM is known to bring companies exceptionally high ROI, and if you want to scale your company and expand over the next few years, it’s definitely the way to go. Want to learn more? Schedule a demo now!